Three further cases illustrate the impact of orphan 7TM proteins on the signaling capacity of GPCRs. Engagement of the orphan GPR50 into heterodi-mers with MT1 , known to bind the circadian neurohormone melatonin, has profound consequences on MT1 function, namely inhibition of high- affinity agonist binding, heterotrimeric G protein coupling, and P-arrestin binding . A more detailed analysis provided a possible explanation pointing to the long carboxyl terminal tail of GPR50, which prevents recruitment of intracellular interaction partners such as G proteins and P-arrestins to MT1 in the heterodi-mer. The second example concerns the Mrg family members MrgD and MrgE, which have been shown to form heterodimers. P - alanine binding to MrgD, when expressed alone, activates the ERK pathway and receptor internaliza-tion. Coexpression of MrgD with the orphan MrgE potentiates P - alanine -induced MrgD signaling and inhibits MrgD internalization in the MrgD/MrgE heterodimer . The latest reported heterodimer concerns the serotonin 5- HT2A receptor and the orphan trace amine associated receptor TAAR6, which are both associated with schizophrenia. In cells coexpressing both proteins, the maximal activation of the phospholipase C (PLC) pathway through 5 - HT2A receptors was significantly enhanced compared to cells expressing identical quantities of 5 - HT2A alone  . Taken together, the concept of heterodimer formation between GPCRs and orphan 7TM proteins clearly offers a new dimension for the potential function of orphan 7TM proteins, and ongoing work in several laboratories is likely to reveal more of these heterodimer couples (Fig. 7.3). Whereas the physiological importance of heterodimer formation has been clearly demonstrated in the case of GABAb and T1R receptors, the physiological relevance still remains to be firmly demonstrated for the other reported examples. Heterodimers between DOR83b, a highly conserved odorant 7TM protein without any apparent affinity for odorants, and conventional ligand-binding odorant receptors, were initially classified as GPCR heterodimers. Similarly to the GABAB2 subunit of the GABAB receptor, DOR83b promotes trafficking of its heterodimerization partners (i.e., DOR22a and DOR43a) to the cell surface. In addition to targeting odorant receptor heterodimers to sensory cilia membranes of olfactory sensory neurons, DOR43b was also shown to strongly increase the functional response of conventional odorant receptors [84, 85]. However, more recent reports indicate that DOR43b has indeed a 7TM structure, but with an inverted orientation in the plasma membrane compared to conventional GPCRs, with the N-terminus facing the cytoplasm and the C-terminus facing the inside of the cell . Additional observations made by two independent groups indicate that coexpression of odorant receptors and DOR43b leads to inward cationic currents leading to the unexpected conclusion that this receptor complex is an ion channel [86, 87] . Whether DOR43b alone can form an ion channel or whether the entire heterodimeric complex is necessary is still a matter of debate. Several other cases are known where coexpression of an orphan 7TM protein with an accessory protein is important for the functional expression of the orphan 7TM protein. A well-known example is the orphan calcitonin receptor-like receptor (CRLR) that requires single TM-spanning receptor activity-modifying proteins (RAMPs) for efficient transport to the cell surface. Importantly, the pharmacological phenotype can be modulated through differential interaction with one of the three RAMPs . When associated with RAMP1, CRLR functions as calcitonin gene-related peptide (CPRP) receptor, whereas it acts as an adrenomedulin receptor when coexpressed with RAMP2 or RAMP3 (Fig. 7.3). Two recent studies attempted to define the function of the orphan GPR56 7TM protein by characterizing associated proteins. Co-rnmunoprecipitation experiments revealed that GPR56 associates with Gq/11 proteins and CD81 and CD9 tetraspanins . Interestingly, CD81 stabilized this ternary complex by directly binding to Gq/11 proteins. Although the signaling capacity of GPR56 remains currently unknown, one may speculate that CD81/CD9, by directly binding to GPR56 and Gq/11 proteins, provides the necessary scaffold for efficient coupling of GPR56 through Gq/11-mediated pathways. In a second study, the N-terminal extracellular domain of GPR56 has been shown to bind tissue transglutaminase TG2, an observation that has been correlated with the capacity of GPR56 to inhibit melanoma tumor growth . The orphan GPR37, which is associated with Parkinson's disease, has recently been reported to associate with the dopamine transporter (DAT) and to modulate its activity. GPR37-null mice show enhanced dopamine uptake in striatal membranes associated with increased DAT cell surface expression . A further example concerns Smoothened (Smo), a 7TM protein that mediates the effects of Hedgehog (Hh) in embryonic development. Interestingly, Hh does not bind directly to Smo but rather to the 12TM receptor Patched (Ptch), which inhibits the constitutive activity of Smo. Binding of Hh to Ptch relieves this repression of Smo. Consequently, Smo can be considered an orphan 7TM protein whose activity is regulated by its binding partner Ptch [ 92] . Taken together, these examples of heterodimers between orphan 7TM proteins and other membrane proteins offer new functional options for orphan 7TM proteins and novel perspectives for drug intervention . In recent years, the concept of allosteric modulation of GPCRs has become progressively accepted and now represents an important aspect of the drug discovery process. Allosteric modulators act per definition outside of the orthosteric binding site of endogenous ligands. The action of allosteric ligands is generally considered to depend on the presence of the orthosteric ligand. 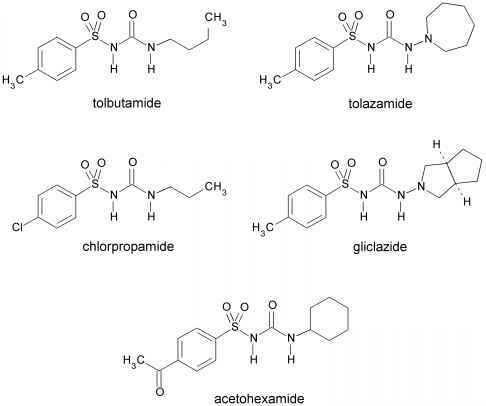 However, several examples demonstrate that allosteric agonists may have also an effect, which is independent of the presence of the orthosteric ligand  . This notion is fully compatible with the definition for an allosteric agonist given by the International Union of Basis and Clinical Pharmacology (IUPHAR) committee: "... a ligand that is able to mediate receptor activation in its own right by binding to a recognition domain on the receptor macromolecules that is distinct from the primary (orthosteric) site." (Fig. 7.3). This is nicely illustrated by two compounds acting on orphan 7TM proteins. The first compound, CGP7930, allosterically enhances GABA binding to the GABAb receptor heterodimer. Importantly, CGP7930 can activate the heptahelical domain of the orphan GABAB2 subunit alone . Similar observations have been made for taste T1R receptors. Lactisole and cyclamate have been proposed to bind to the 7TM domain of the orphan T1R3 subunit and thus allo-sterically regulate ligand binding to the bilobate extracellular orthosteric sites of T1R1 and T1R2 in their respective heterodimers. Collectively, this indicates that orphan 7TM proteins can be targeted by allosteric agonists that may be interesting compounds even in the absence of orthosteric ligands for these proteins. Learning About How To Sleep Like A PRO Can Have Amazing Benefits For Your Life And Success. 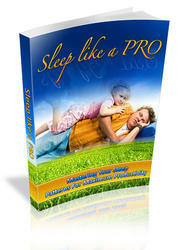 Learn About Mastering Your Sleep Patterns For Maximum Productivity To Create Amazing Results!